Ukuleles are fun to play, and people love the bright, cheerful music they make. 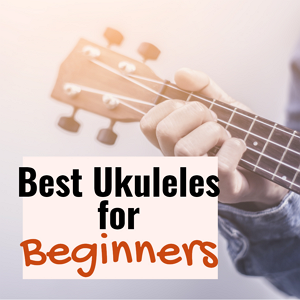 Whether you’re brand new to playing the ukulele, or if you are ready to step up to a real musical instrument, you’ll find our guide to the top 10 best ukulele brands to buy super helpful. Keep in mind, there are lots of great manufacturers out there and it would take a far longer list to give them all credit! The top ukulele makers we’ve curated here are those who tend to offer good, solid instruments at affordable prices, particularly for beginning and intermediate players. 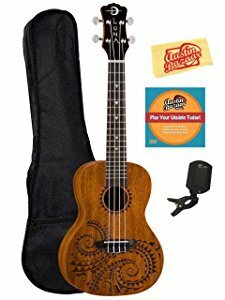 Our Top choice for a Beginner is the Official Kala Learn to Play Ukulele Soprano Starter Kit ukulele with a Pack Bundle with Gig bag Tuner Aquila Super Nylgut strings, free lessons and more. Kala is based in California, and as one of the best ukulele manufacturers in the business, it offers a vast range of instruments for everyone from beginner to professional. Prices range from very low to high, depending on a variety of features. Overall, Kala ukuleles sound fantastic, offer reliable performance, and look beautiful. Luna offers a variety of artfully crafted instruments, many with tribal and tattoo-inspired artwork. Prices range from very low to several hundred dollars, and there are many body styles available, including a fantastic uke banjolele! With models for children, beginning adults, and stage-savvy pros, Luna offers instruments with excellent sound and great playability. 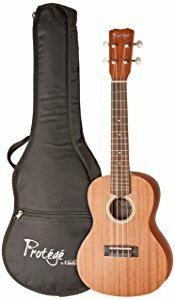 If you’re looking for a real Hawaiian ukulele, then consider a Lanikai! Based on the beautiful Hawaiian island of Oahu, Lanikai offers some beautiful handcrafted models including the very popular Sailor Jerry, TunaUke, handmade Makau series, and UkeSB models, which feature plug-in USB capacity and allow you to record as you play. Lanikai ukulele prices are a bit higher than some other manufacturers, but these exquisite instruments are worth every penny. 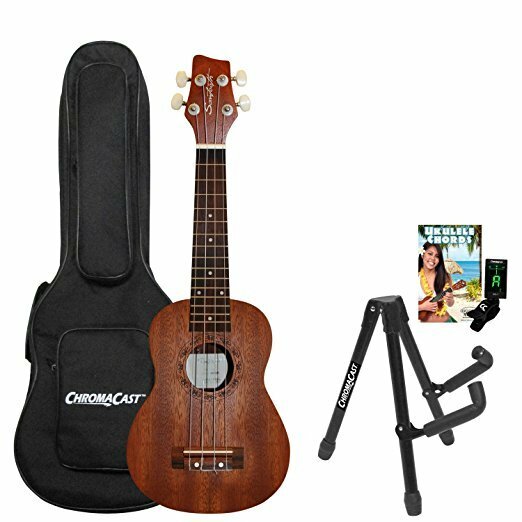 If you’re searching for a cheap ukulele that you can take to the beach, look no further. 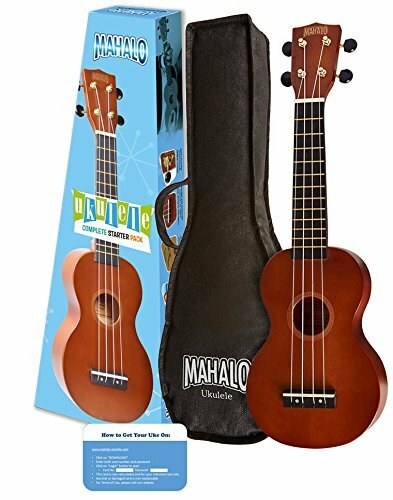 While Mahalo offers a few high-end models, many of their ukuleles cost less than $50, and they come in rainbow colors that add to the fun of playing. 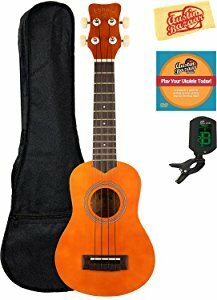 Mahalo is among the many manufacturers offering electric and electric-acoustic ukuleles, plus the company offer inexpensive accessories. 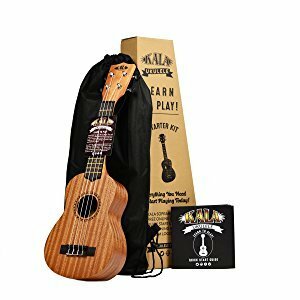 If you’re looking for a good-quality instrument, don’t let the huge lineup of cheap ukes prevent you from taking a peek at Mahalo’s ukuleles. Pricier models come with outstanding features and are beautifully crafted; they tend to get excellent reviews from experienced players. Another Hawaiian company, Kanilea is renowned for its high-quality instruments, all of which are made on the lovely island of Oahu. In fact, you can tour the factory if you happen to be visiting! Many of Kanilea’s ukes are made with professional players in mind, and pricing reflects that. But recently, the company came out with a line of entry-level ukuleles. Called the “Kanilea Islander” line, these instruments offer great looks, good sound, and relatively low prices. Be sure to take a look at Kanilea as you make your decision. Oscar Schmidt is a well-known guitar manufacturer, which is why you might recognize this name! The company also happens to be among the top ukulele brands, thanks to their outstanding durability, great looks, and fantastic sound. Like offerings from some other popular manufacturers, Oscar Schmidt offers a variety of woods and finishes including spruce, spalted mango, spalted maple, mahogany, and authentic koa. If you’re in the market for an electric ukulele, then you might want to consider a Fender. Manufactured by the same company that’s been making electric and acoustic-electric guitars for decades, these instruments shine in terms of quality and playability. The signature headstocks, gorgeous finishes, and excellent craftsmanship are a few hallmarks, and they’re among the features that make Fender ukuleles so popular. Body styles range from traditional to cutaway, and there are plenty of colors to choose from. A company that’s very well known for its high-quality classical guitars, Cordoba also offers a wide selection of ukuleles, with a focus on entry-level and medium-range players. Cordoba ukuleles are very well-built, and it’s not at all surprising that they are made with good-quality tone wood. Classic looks and traditional finishes add up to a ukulele you can grow with, especially since these instruments get top marks for tone, resonance, clarity, and volume. Cordoba tends to be bit more expensive than some other manufacturers on this list, but the instruments are above average in terms of quality. We’d be remiss if we didn’t mention Martin ukuleles. 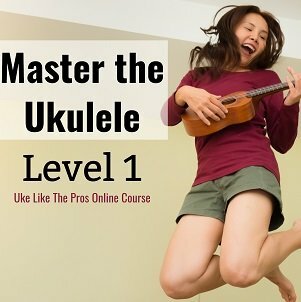 While prices are quite a bit higher than some other ukulele manufacturers, these instruments are top-notch and with proper care, they will last a lifetime; so if you’re a beginner who wants to enjoy playing for the next several decades, consider taking a look at this brand. Martin began producing ukuleles way back in 1916, and they offer a number of styles and finishes to choose from. 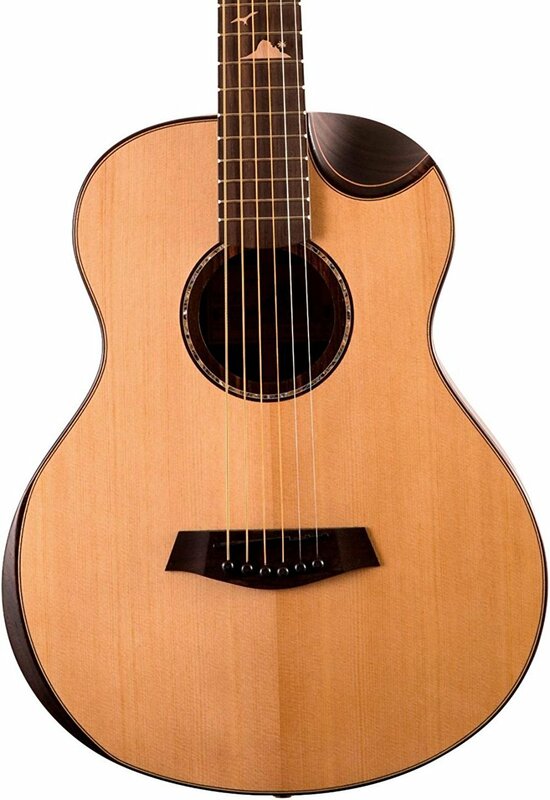 Tone, playability, and great looks are to be expected. Martin also offers great strings, so if you’re not quite ready for one of their ukes, you can add the strings to a cheaper model and get a tiny taste of the quality this company is renowned for. Sawtooth is gaining popularity, especially among newer ukulele players. The instruments this manufacturer has to offer are well-built, and they feature beautiful etching around their sound holes. The sound tends to be mellow and well-balanced, and most models are very affordable. If you’re looking for a decent ukulele at a fairly low price, then a Sawtooth may suit your needs. One caveat though; many reviewers complain that the manufacturer’s strings are subpar. You may want to re-string with a better brand like Aquila or Martin if you choose a ukulele from Sawtooth.